OS X is quite small, so users often need to install special software to open media files in other formats. Instead, try Movavi Media Player – a handy lightweight program that will serve as the perfect WMV, AVI, and MKV player for Mac and let you forget about format incompatibility issues forever. With Movavi Media Player, you can enjoy your favorite films and songs in more than 50 formats and watch high quality video without system crashes and annoying slowdowns. Movavi Media Player will make unsupported formats a thing of the past. The software lets you play not only popular formats like MP4 or MOV but also many less common ones. 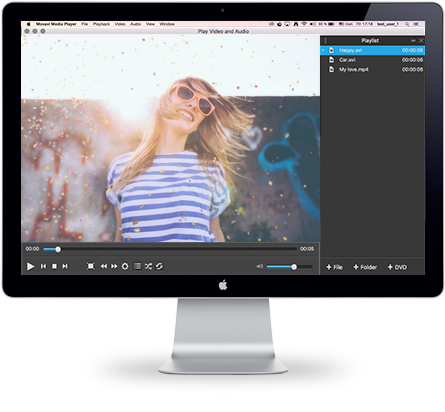 Use it as an AVI player for Mac or a viewer for Windows Media Video (WMV) and dozens of other file types, including HTML5 video (WebM, OGV), RM, MTS, H.264 video, and more. MP3, AAC, OGG, FLAC, WMA, WAV, M4A, and more – whatever your audio format, Movavi Media Player probably supports it. Enjoy your favorite music without the loss in quality often associated with conversion. Add music files and play them in Shuffle or Repeat mode. Finally, your ultimate Mac music player! HD movies have really spoiled us in terms of video playback quality expectations. However, many video players can barely cope with large Matroska (MKV) or WMV files, causing time lags and slowdowns. 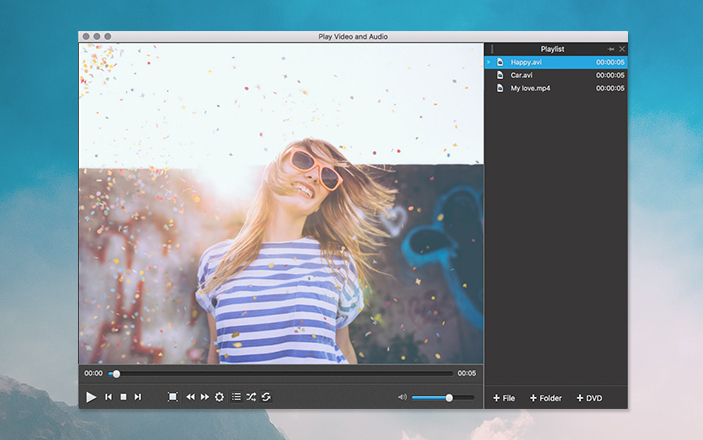 Unlike many other movie players for Mac, Movavi Media Player provides the perfect HD experience, with smooth video and no bugs or other unexpected effects. Manage subtitles with just a couple of clicks: choose the track, set the position of the text, and synchronize it with the audio. Choose which audio or video tracks you want to play back if there are multiple tracks in your file. Jump to a specific point in the video. Adjust the colors and the aspect ratio of the clip. Want to know how to watch AVI on a Mac or open any other format? Movavi Media Player will help you! 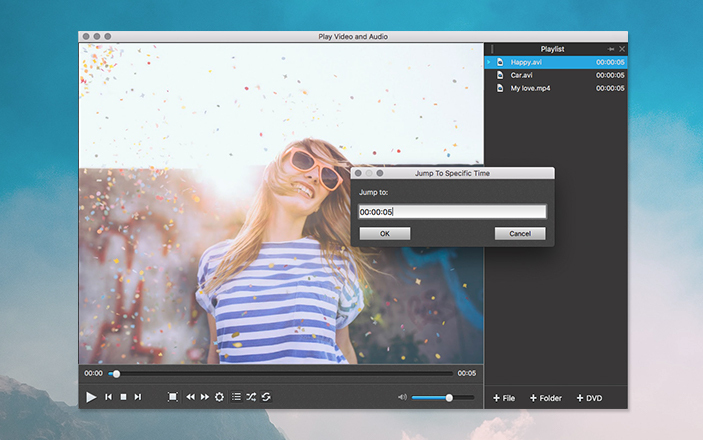 This program is the perfect AVI, MKV, and WMV player for Mac that will let you play back video and audio in any format without bugs or slowdowns. You can download Media Player for free and try it right now!